And…. NEW LOOK for REVOLUTION! Sorry for the lack of updates, but I got a very bad virus in my pc and I am still working on that. Anyway I’ve just uploaded some cool pictures from Comic Con. They have a Revolution Village there, with some awesome stuff. Take a look at this album on facebook. I also updated the VIDEO PAGE with trailer n.4 and created a REVIEW PAGE with 3 new reviews from Comic Con. I know there’s nothing with Elizabeth yet, but they starts shooting on Monday some we should have something soon. Question: I know it’s a little early for Emmy talk, but I was so horrified by Lost‘s snub last year that I can’t stop thinking about it. What do you think Lost‘s chances are at this year’s Emmys? I think Elizabeth Mitchell, Henry Ian Cusick and Michael Emerson all have a good chance, as well as the show in the drama category. Also, I heard last year’s snub was due to the producers’ submitting episodes poorer in quality, such as “Man of Science, Man of Faith,” to the nomination panel. 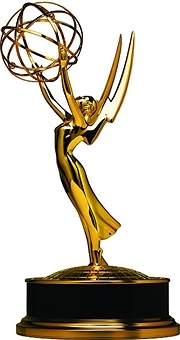 I hope the Emmy voters correct last year’s grievous wrongdoing and nominate Lost this year. What do you think? Answer: I think I admire your faith in the show and in Emmy voters. Frankly, I’d be shocked if the Emmys reverse course to show much if any love toward a show whose reputation took several hits this year: in the ratings and in media coverage over that ill-conceived opening “pod” of episodes. 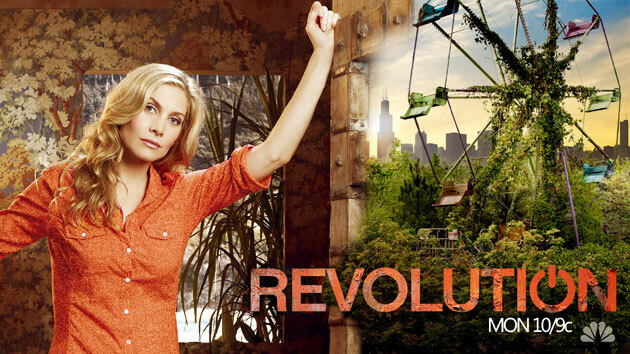 I agree that Elizabeth Mitchell in particular has shone this season, but given the richness and variety of TV drama these days, I can’t help but think Lost‘s breakthrough freshman season (when it won best drama) is going to be its sole trip to the big party. I’d love to be wrong, but I think (speaking in island terms) that ship may have sailed for good.